Place potatoes, onion, garlic, soup and chicken broth in a 4- to 5-qt slow cooker. Cover and cook for 4-6 hours on high or 6-8 hours on low. Stir well; salt and pepper to taste. 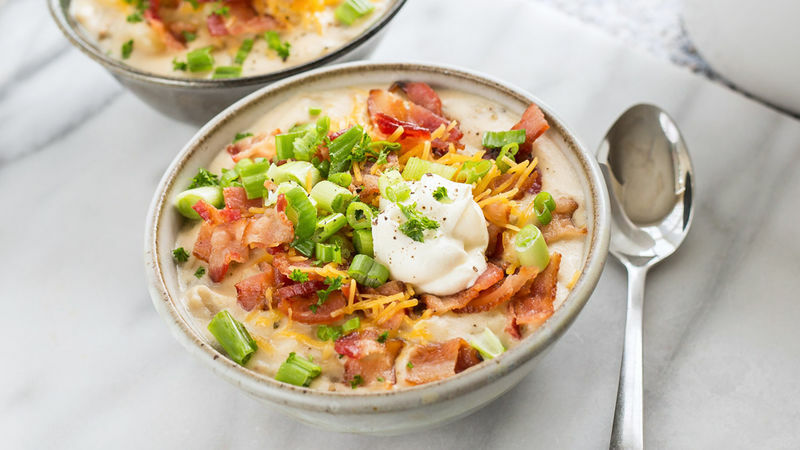 Serve topped with sour cream, bacon, green onions and cheese.